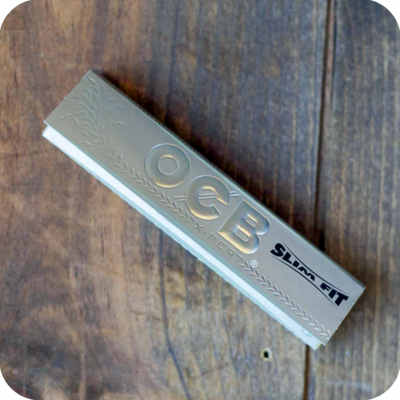 The OCB X-pert Slim Fit Rolling Papers Tips Included are 4 MM slimmer than your standard king size. Less paper smoked in every roll. Each OCB X-pert Slim Fit Rolling Papers Tips Included contains paper that is extra thin, lightweight, easy to roll, and slow burning. At 40mm, these thin papers are great if you’re trying to reduce your paper consumption. 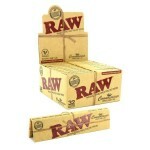 These high quality OCB X-pert Slim Fit rolling papers are translucent and burn evenly. Every leaf is made of watermarked pure flax paper for quality assurance. They contain Arabic Natural Gum from East Africa, accordingly making them 100% vegetarian, organic, and GM free. A paper slip folded in with the leaves notifies you when you’re running low and need to restock. This pack comes with pre-cut, ink-free tips, one for every paper. OCB is committed to creating products from all natural sources that can easily be recycled. 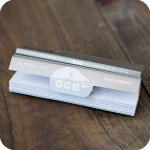 Their commitment to reducing environmental impact and creating a healthier smoke experience will make you an instant fan of OCB products. If you’re looking to save a few dollars and already have tips available at home, check out the original OCB X-pert Slim Fit Rolling papers without the tips included in this pack. 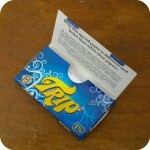 Tags: OCB P, Slim fit, tips, x-pert papers.